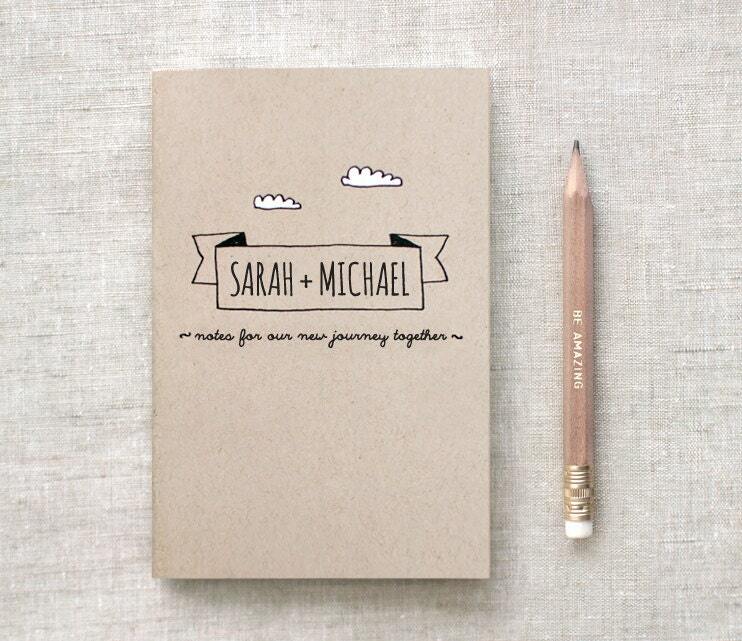 A perfect pocket size hand drawn & hand painted journal & pencil set for your valentine, a newly engaged or married couple. The banner and artwork are hand drawn containing the couples names with "notes for our new journey together" underneath. Printed in black on earthy 100% post consumer recycled cardstock and clouds painted by hand with white water based paint. Folksy :: Buy "Pretty Flowers Notebook"
Folksy :: Buy "Covered Notebook"
Folksy :: Buy "Daisy Coptic Handbound Book"